Medical expenses can be unpredictable and incredibly expensive. Luckily, FastMed Urgent Care makes it easier to control your budget by accepting most major insurance carriers. Our facilities are staffed by a team of medical professionals who is dedicated to providing high quality care. 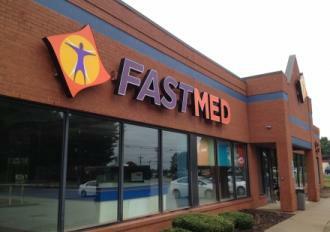 With or without insurance, FastMed is available to provide a variety of services to care for your basic health needs. With or Without Insurance Coverage, FastMed Urgent Care Has You Covered! At FastMed, we set the standard for quality service that is not only affordable, but also convenient for even the busiest of schedules. Our doors are open 365 days per year, including holidays, late nights, and weekends. Walk-ins are always welcomed, and no appointment is ever necessary to see a medical professional. For patients in a hurry, we offer an online check-in tool called the ZipPass. Utilizing the ZipPass service may reduce your overall waiting time and allows the completion of the registration form prior to your arrival. Having insurance coverage is great, but just because you may not have coverage doesn’t mean that you are not entitled to quality healthcare. FastMed Urgent Care goes the extra mile to ensure the comfort of each patient that walks through our doors. The next time you’re in need of basic healthcare services, stop by your local FastMed and receive the medical attention you deserve. To find out if your specific plan is accepted, check out the Insurance page on our website.